Microsoft Surface Pro worth SGD1488! 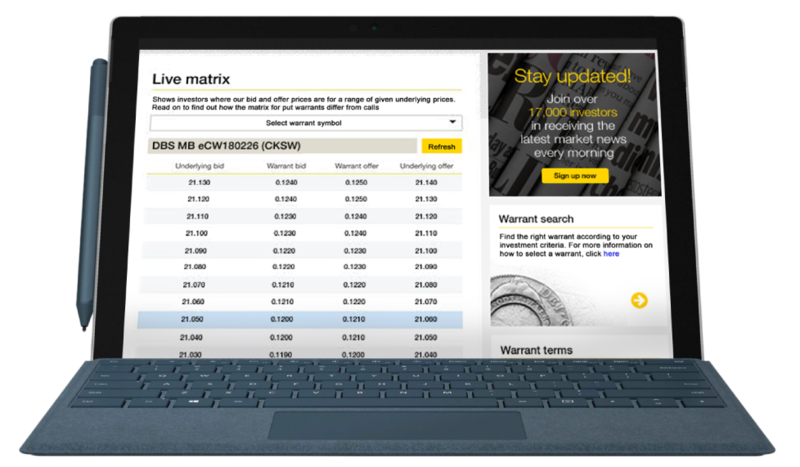 We are celebrating the launch of our new website and new Live Matrix tool by offering the chance for you to win the latest Microsoft Surface Pro! Simply answer the two questions below to enter Round 2 of the contest and be in the running to win. The Contest has closed and we have two lucky winners of the latest Microsoft Surface Pro! We would like to thank all participants for joining us in celebrating the launch of our new website and Live Matrix by entering our Contest! Please subscribe to our newsletter to keep up to date with the daily market buzz and upcoming Macquarie events if you have not done so! Question 1: The Live Matrix tells investors where a warrant bid/offer is at based on the underlying’s bid/offer. 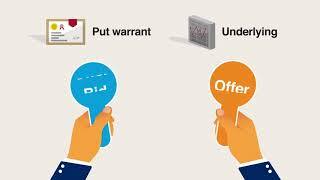 For call warrants, the warrant bid price corresponds to the underlying’s bid price. 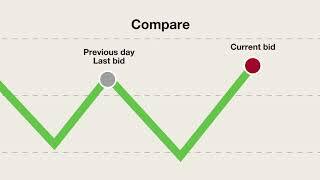 For put warrants, the warrant ask price corresponds to the underlying’s bid price. Question 2: We recently relaunched our website with new tools and resources for warrant investors. Tell us what you like most about our new website and why! Question 1: Which futures contract month is the HSI warrants tracking now? Question 2: Share with us your warrant trading journey. Whether you are still learning, or have traded for a while, we would like to hear your story! 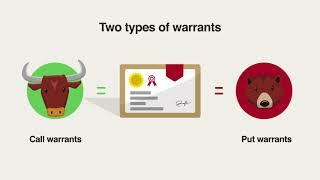 Learn about warrants with the Macquarie School of Warrants. 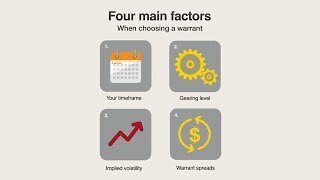 These five short videos provide a quick overview of structured warrants. Episodes 3 to 5 will be available soon so stay tuned.